Two people died after a boat carrying migrants sank just 50 metres off Turkey's western coast near Bodrum early on Monday, the coast guard said. 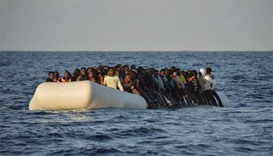 Eleven migrants have died and nearly 200 are missing after two boats sank off the coast of Libya, UN agencies said on Monday citing survivors, in the latest such tragedy. 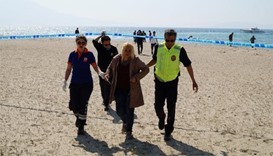 Five children were among 11 Syrians killed after their plastic boat sank off Turkey's Aegean coast on Friday, the first such reported incident in months on an illegal migrant route meant to have been all but shut down. 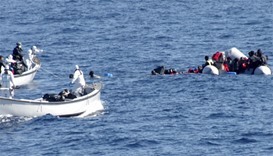 The bodies of 25 migrants, including 10 children, were discovered off the Greek island of Samos Thursday after their boat capsized, the Greek coastguard said.